Paper Daisy Crafting: Stampin Up - not just cards! Stampin Up - not just cards! Now that it's December I'm finally getting around to thinking about Christmas presents - I know, I bet you're much more organised! For me, one of the best parts is the packaging and Stampin Up makes that so easy. 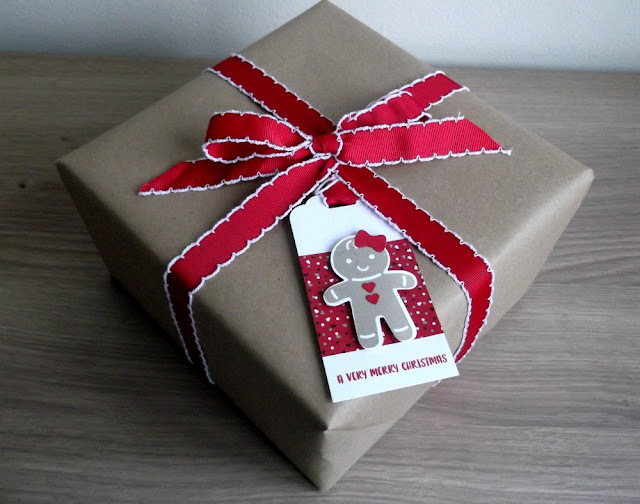 This will be how I package all my gifts this year - plain brown paper, real red ribbon and tags made with the Cookie Cutter stamp set and bundle. This one is a smaller box, wrapped in paper from the Candy Cane Lane set. 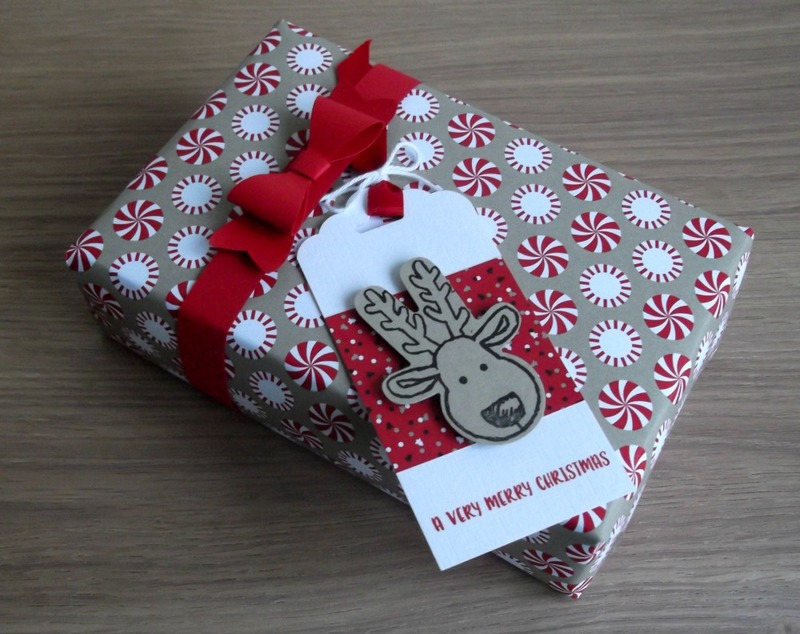 The bow is made from real red cardstock using the bow maker punch. And here they are together. Can't wait to get my tree up and start arranging this pretty gifts underneath it. 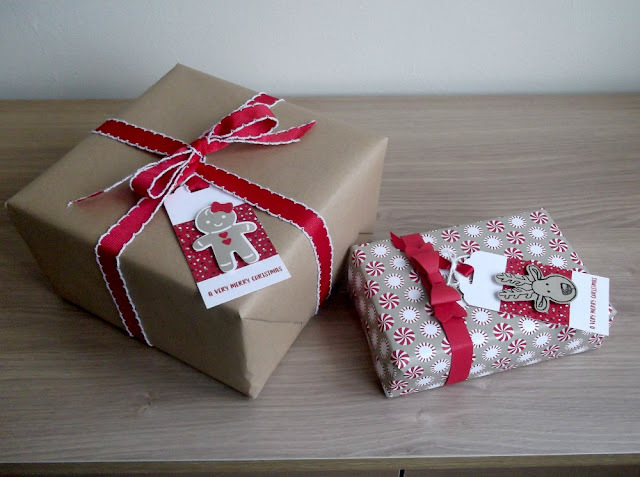 If you'd like to package your gifts like this, use the links below to buy the things you need or contact me and I'll get them to you with no P&P costs!